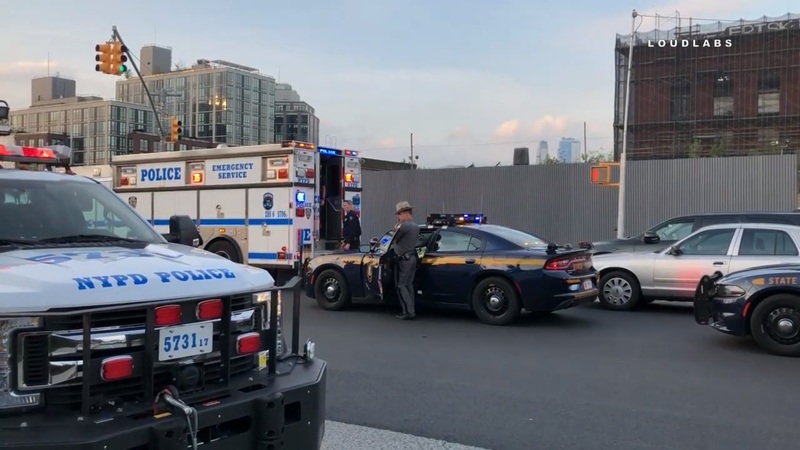 GOWANUS, Brooklyn – After days of tirelessly searching for a man wanted for an upstate New York hospital shooting last weekend, police finally apprehended the fugitive in Brooklyn Monday evening. Joshua Stuart, 42, was caught behind a Whole Foods supermarket on Third Street between 2nd and 3rd avenue. Hours before he was arrested by U.S. Marshals, Stuart allegedly tried to rob a store clerk at gunpoint in Bay Ridge, Brooklyn. Police apparently recovered a gun, but no one was hurt, they said. Stuart, who was described as “armed and dangerous” had shot at several officers inside Ellenville Regional Hospital early Friday morning. He is charged with robbery, criminal possession of a weapon, criminal possession of stolen property and criminal possession of a controlled substance, according to police. It remains unclear if Stuart will be charged by authorities in Ellenville.